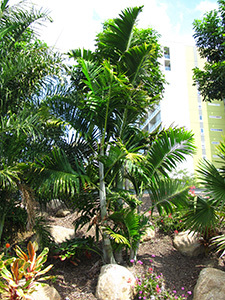 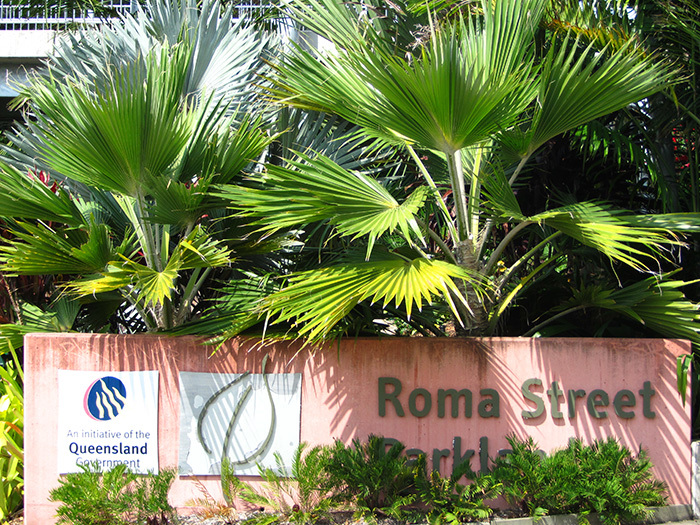 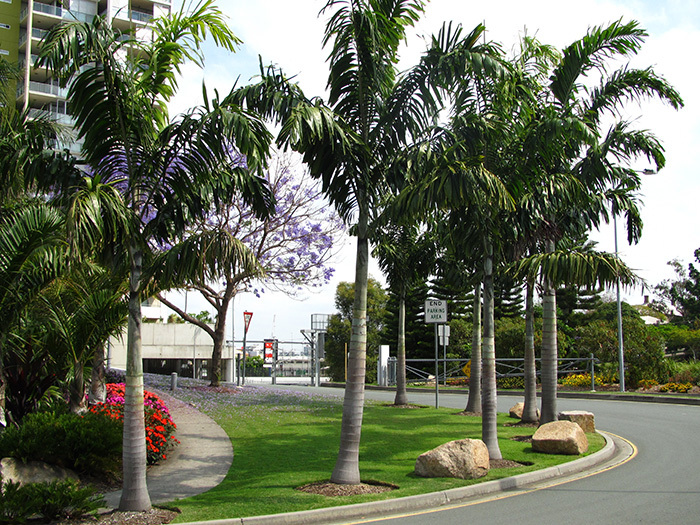 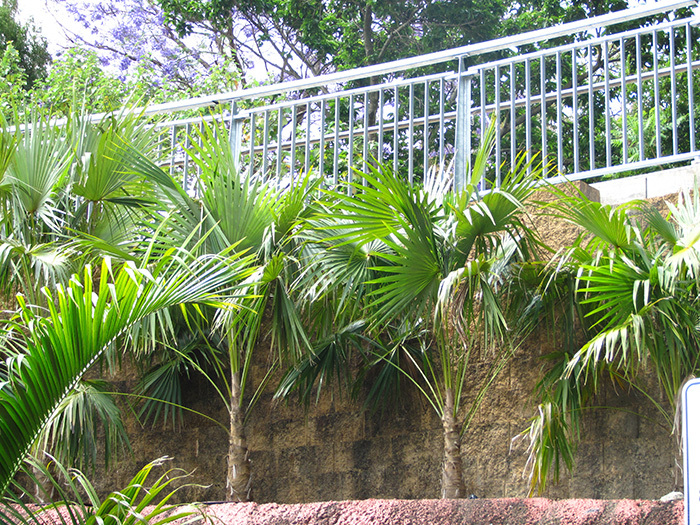 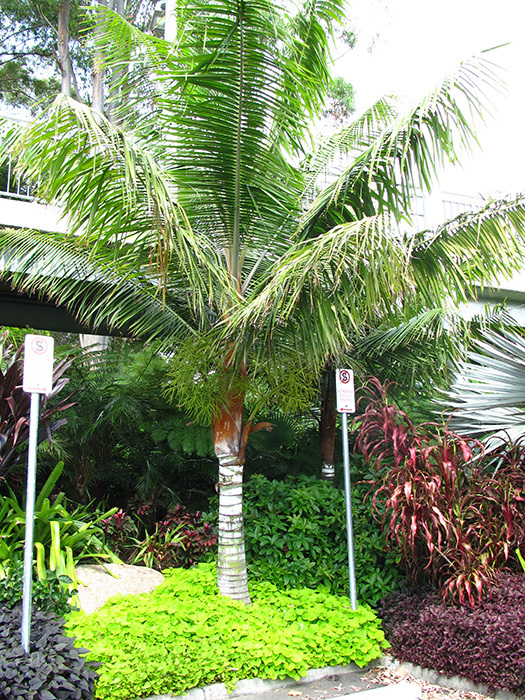 With the help of Palms for Brisbane, Roma St parklands has developed a fantastic collection of palms and tropical plants suited to Subtropical conditions. 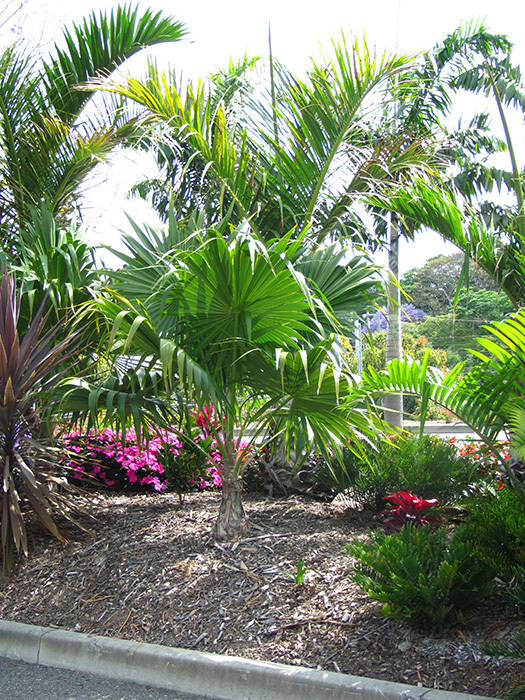 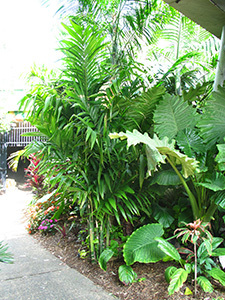 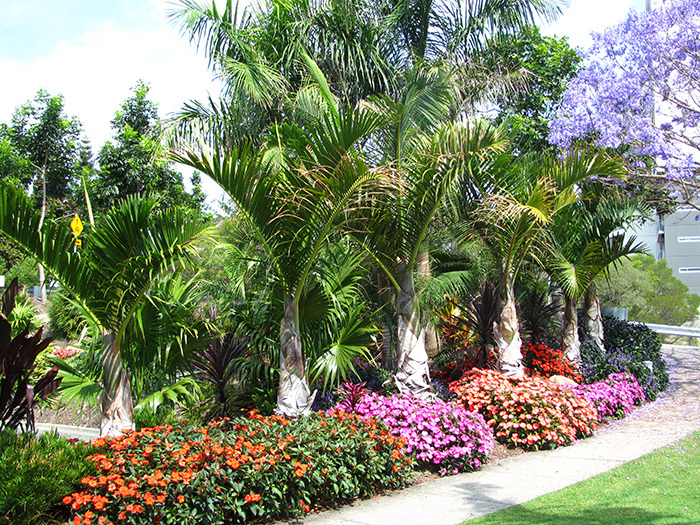 This garden is well worth a visit for palm enthusiasts and novices alike. 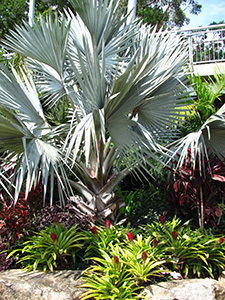 Pritchardia hillebrandii " Hawiian fan palm"
Wodyettia biffurcata x Veitchia joannis "Foxy lady palm"
Areca triandra "Clumping Beetle nut palm"